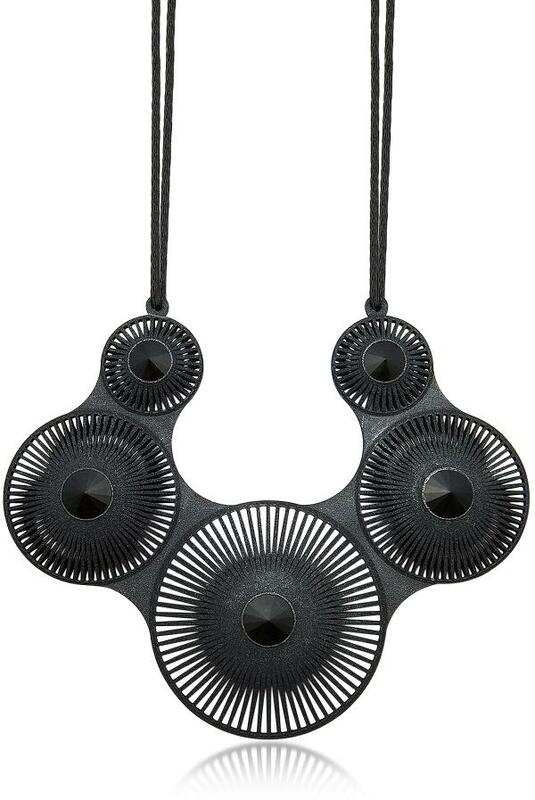 Phase Black Quintuple Neckpiece, plays with the relationship between light and space, creating high-tech, high-impact jewelry that lends to a stand out look with a minimalist vibe. Featuring 3D printed neckpiece in an ultra-light, yet strong flexible nylon material consisting of five graduating circles accented with golden crystals. Hand dyed in black, the geometric motif creates a visually-striking moire effect as it hangs from an adjustable satin cord with silver ends.